Wonderful food. The Thai fish cakes and the Panang Curry is fabulous! 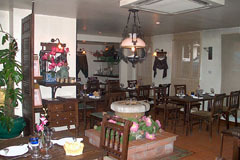 A beautiful Restaurant with excellent service and mouth watering food. After my visit last week I would reccomend anybody in the area to pay them a visit! Really disapointed - service was late and the food was quite cold - Would go again.